Is this the final nail in the coffin for the desktop-only website? Here we look at the changing face of mobile web design in the wake of Google’s surprising, yet not unexpected, announcement. The sweeping change will affect Google in all languages and a spokesperson for the search engine giant said it will have “significant impact” on search result rankings. Google are offering quality search results which are device-optimised, announcing in their blog that: “As more people use mobile devices to access the internet, our algorithms have to adapt to these usage patterns”. Google have mentioned an algorithm update of this type before though it is unusual for a particular date to be announced. The search engine has already started using detailed information from signed-in users of indexed mobile apps as a ranking signal, allowing content from these apps to receive more prominent display in search results. It has been impossible to ignore the massive and ever-growing number of internet users and now, with Google’s game-changing announcement, offering customers a mobile-friendly website is no longer an option but a necessity. Google have been slowly expanding their inclusion of mobile websites in search results - in November last year, mobile-friendly labels were added to mobile search results when meeting the strict criteria for ranking signals. John Mueller from Google said: “a mobile-friendly site is one that you can easily read & use on a smartphone, by only having to scroll up or down. Swiping left/right to search for content, zooming to read text and use UI elements, or not being able to see the content at all make a site harder to use for users of mobile phones”. Brick technology ecommerce websites are neither desktop nor mobile-based but a stunning, seamless combination of both. One simple, flexible and powerful control centre is at the heart of each bespoke website, which will respond and adapt to offer optimum visuals and performance on any internet-capable device, satisfying the demands of modern users. 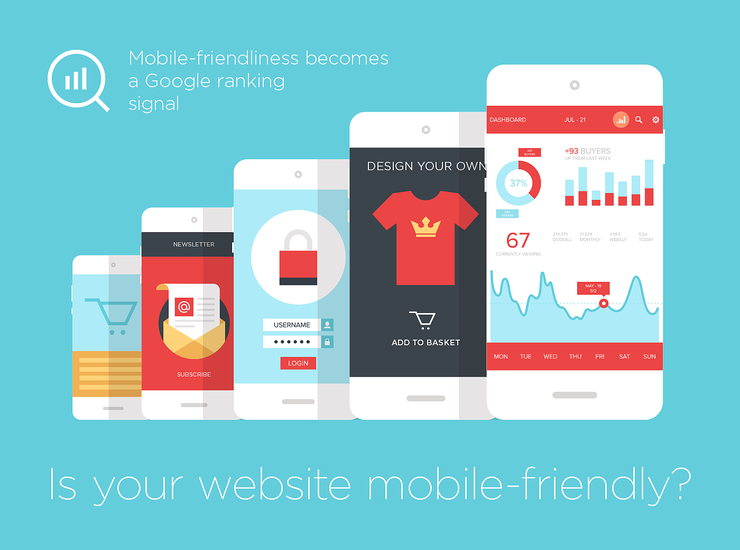 There are less than two months left until mobile-friendliness becomes a Google ranking signal, changing the face of mobile web design. Act now - make an enquiry with Brick technology today.